Before investing in a procedure for your dental health, you probably have a lot of questions and anxieties. At Vero Dental Spa, we’ve compiled a list of frequently asked questions by our patients, so you can go to your Teeth Next Day® consultation with as much knowledge as possible. While Teeth Next Day® is a tooth restoration treatment, the best way to ensure a successful treatment is by making the appropriate preparations, and following the dentist's instructions. Teeth Next Day® is an implant supported teeth replacement treatment that restores multiple missing teeth all in one surgery. For full arches, we will embed between four and six implants into the jawbone. The implants will then serve as anchors to support the entire row of replacement crowns. Unlike traditional implant supported teeth replacement treatments, Teeth Next Day® replace arches of missing teeth without the hassle of going through multiple surgeries. As the name implies, this form of implant supported teeth replacement is known as Teeth Next Day®, because you can fully restore your teeth in one day. Who Offers Teeth Next Day®? 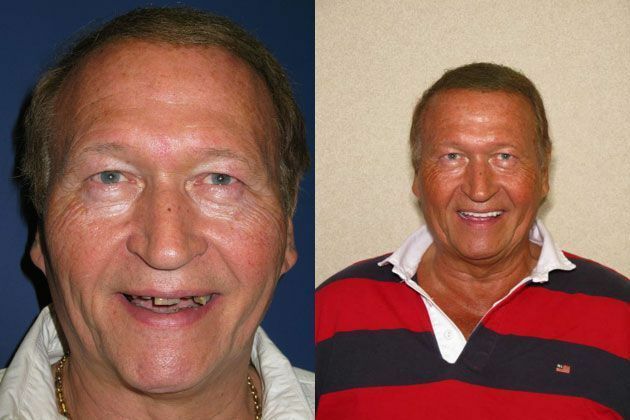 Teeth Next Day® is solely offered by Dr. Ajmo at Vero Dental Spa in Vero Beach, FL, and his practice PGA Advanced Dentistry in Palm Beach Gardens, Fl. Dr. Ajmo is the only cosmetic surgeon in South Florida with the skills and credentials to perform Teeth Next Day®. Unlike other versions of implant supported treatments, Teeth Next Day® are not mass produced. 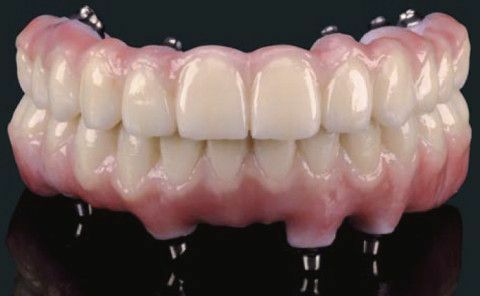 We construct the Teeth Next Day® distinctly for each patient. With advanced training and education on the latest dental procedures and restorative techniques, Dr. Ajmo is a top provider of this advanced implant-supported treatment. What is the Difference Between Traditional Dental Implants and Teeth Next Day®? The primary difference between dental implants and Teeth Next Day® are the timeline and final results. To benefit from traditional dental implants, you will have to wait about six months for the implants to heal in your jaw. You will also have to routinely make visits back to the dentist to ensure that the dental implants are healing correctly by fusing to the jawbone. On the other hand, Teeth Next Day® only takes about two dental visits. As far as appearance, dental implants are individually embedded into the jawbone, supporting one crown per implant. With Teeth Next Day®, a full of arch of teeth on the top or bottom of your mouth can be supported by implants. The weight of this arch will need to be distributed equally over your jaw, requiring between four and six implants, instead of one implant per tooth. Am I a Candidate for Teeth Next Day®? Teeth Next Day® is a viable dental restoration option for patients with one or more missing teeth, who are unhappy with their dental bridges or dentures. A good candidate for Teeth Next Day® has been experiencing dental problems that often are not resolved with standard dentistry. Dr. Ajmo might recommend supplemental treatments, like gum grafts or bone grafts to ensure your mouth is stable enough to receive Teeth Next Day®. It is also recommended that you follow the doctor's instructions closely, as failure to do so could inhibit your mouth's ability to heal. Smoking, drinking excessively, and drug use can also cause implant failure. If you are pregnant, you will need to wait until after pregnancy to undergo surgery. Do Teeth Next Day® Hurt? During your Teeth Next Day® procedure, we will ensure that you feel no discomfort. You might experience slight bleeding and swelling after your procedure. Dr. Ajmo will instruct you on proper postoperative care for a simple, healthy, and pain free recovery. We will also make sure you have the appropriate medication for postoperative pain management. We will prescribe medication, along with ibuprofen or tylenol to make sure you're comfortable. You will also be prescribed an antibiotic to ensure you do not experience infection or unnecessary inflammation. For patients with dental anxiety, Dr. Ajmo might recommend different sedation options. Different forms of sedation can help you relax in the dental chair, making you feel more comfortable throughout your entire procedure. Now that you have an idea on some of the most common questions, do not be afraid to ask any extra questions or clarifications in your initial consultation. At Vero Dental Spa, we will be glad to answer any of your dire questions over the phone. Call us today to see if you are a candidate for Teeth Next Day®, and schedule your consultation for Teeth Next Day® at 772-778-5500.